Join the Volcano Art Center’s for Monday Movie Nights! 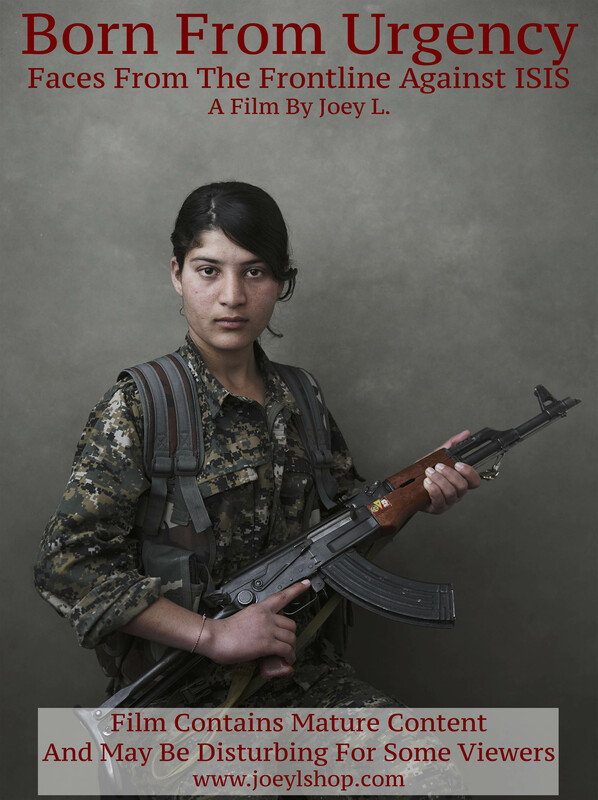 Faces from the Frontline Against ISIS” The film follows 28 year old Joey Lawrence, a Canadian-born photographer and director based in Brooklyn, New York. Since the age of 18, Joey’s work has been consistently sought out by a number of prominent advertising clients, including Lavazza for their 2016 calendar, National Geographic Channel, U.S. Army, Canon, Jose Cuervo, Summit Entertainment, History Channel, The Government of Abu Dhabi, and many others. He has photographed a number of recognizable faces including Robert De Niro, Danny DeVito, Jennifer Lawrence, Jessica Chastain, John Legend, Dylan McDermott, Karlie Kloss, Author John Green, and two-time Olympic gold medalist Gabby Douglas to name a few. His work is regularly seen in magazines, subway advertisements, and billboards. Most recently, Joey traveled twice to the Kurdish regions of Iraq and Syria to document the volunteer fighters of the PKK and YPG. Amidst the chaos of the Iraq and Syrian War, Joey embedded himself with Kurdish guerrilla organizations on the frontlines against ISIS. Without the constraints typical of our mainstream media, Joey offers a deeply personal, humanizing, and controversial view of the war. The project was featured in Vanity Fair: Italia, Internazionale and ran as The Independent’s Saturday Magazine cover story.